Wide area monitoring for community and city can be a very challenging engineering task due to its scale and heterogeneity in sensor, algorithm, and visualization levels. Multi-modal cameras and algorithms have to be fused into compact presentation for a single operator to actively and effectively respond to anomaly events and jeopardy. 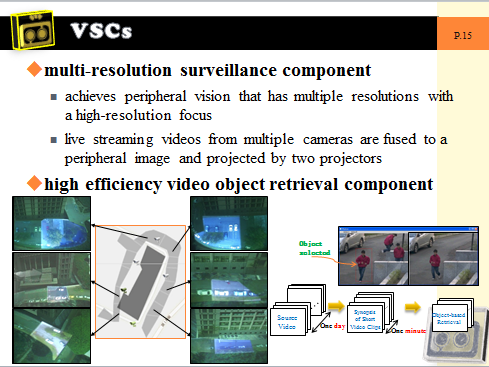 This paper presents a distributed and scalable video surveillance system, subcontracted by intelligent surveillance components (ISCs) and visualization surveillance components (VSCs) in compliance with functional labors. 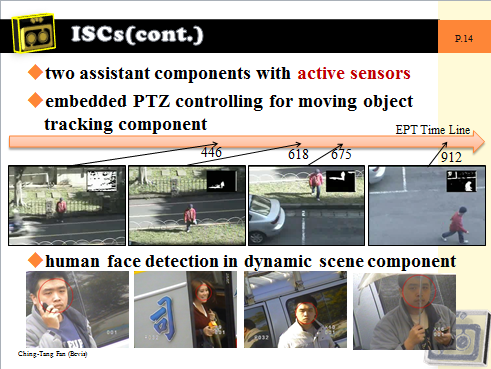 The ISCs are high-level algorithms applying computer vision for behavioral analysis of human and vehicles. The VSCs constitute a multi-tier subsystem to visualize fused results of messages, key frames, streaming videos and geographic context information. 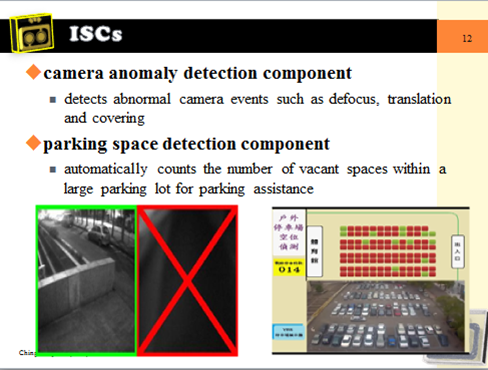 The system helps the operator to focus attention on interested events gathered from distrusted ISCs and presented by VSCs on map and three-dimensional homographic views. 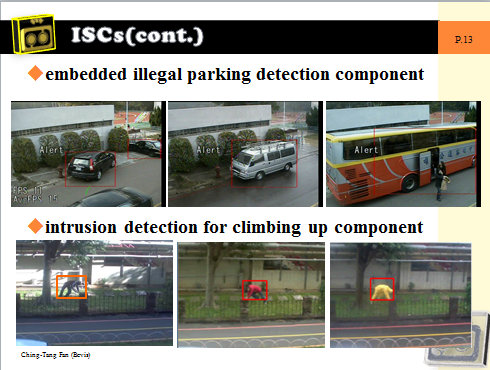 Robustness and effectiveness of the system has been demonstrated by a test run of real scenarios deployed in a campus. The authors would like to thank the professors in the VBIE project: J.C. Lian, C.C. Han, D.T. Dalton Lin, Y.P. Hung, S.W. Shih, Y.S. Chen, J.W. Hsieh, C.H. Chuang, C.T. Lin, H.J. Lee, S.J. Wang, K.C. Fan, W.T. Chang and W.H. Tsai, for their contribution to the success of this system. The authors also thank the graduate students of these professors for their tireless efforts and supports. This work was supported financially by the Ministry of Economic Affairs, Taiwan under project no. 100-EC-17-A-02-S1-032 through Technology Development Program for Academia.